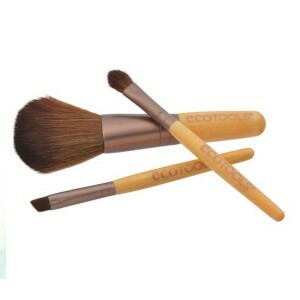 This Beautiful Complexion Set includes all four brushes from the EcoTools Complexion Collection. All brushes in the set are dermatologist tested and are made with soft, cruelty free bristles, recycled aluminium ferrules and sleek bamboo handles. 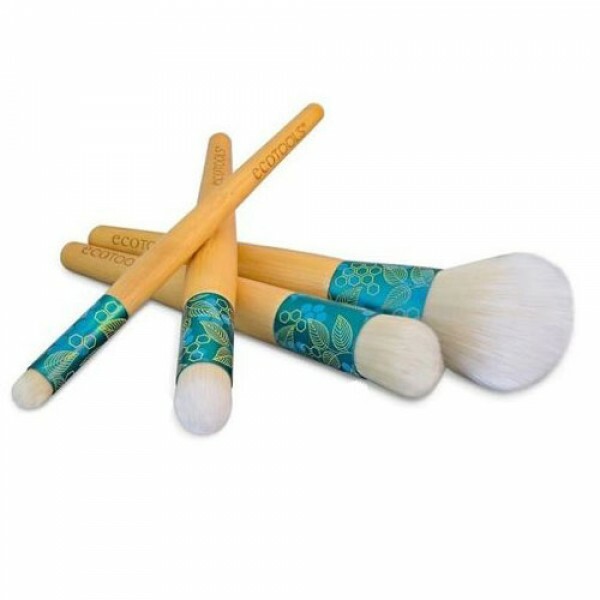 These brushes are of excellent quality and extremely good value when purchased together in this lovely complexion kit. 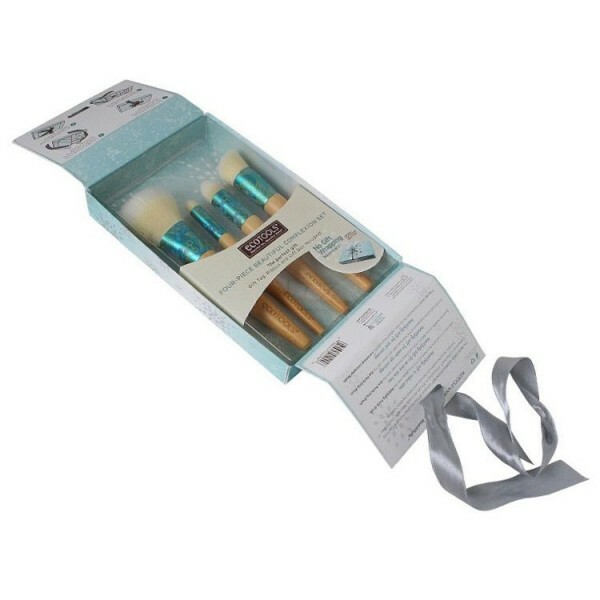 All presented in a lovely gift box, including ribbon and tag so no further gift wrapping will be required. 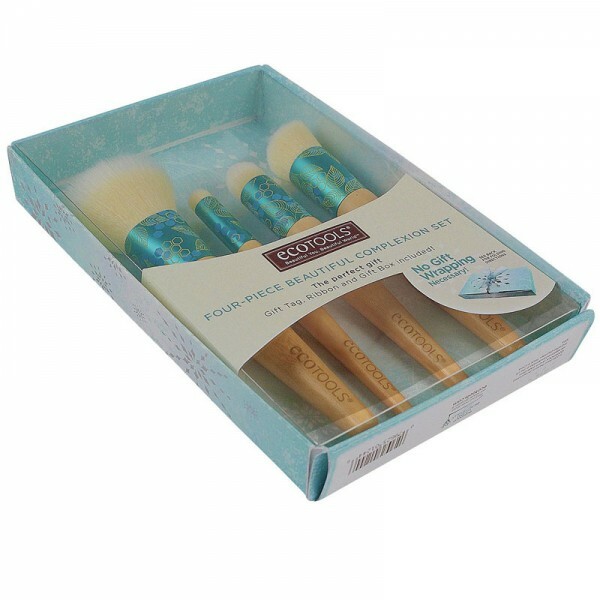 The EcoTools Beautiful Complexion set is ideal as a treat for yourself or as a really useful gift for a makeup loving friend. 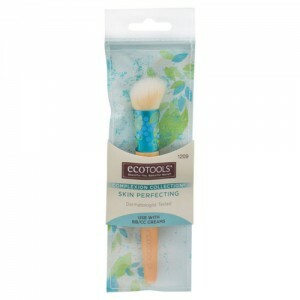 Eco Tools is a leader in eco-conscious beauty products, known for its incredibly soft cosmetic brushes. They take pride in their collection of earth-friendly cosmetic accessories and bath products. 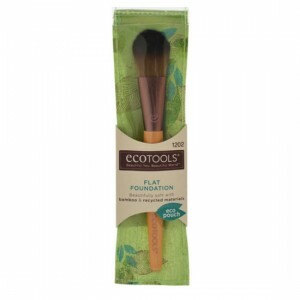 Every product in the EcoTools range is packaged in an eco-friendly way with reusable pouches, post-consumer recycled plastic and recyclable packaging. EcoTools is a member of 1% for the Planet®, an alliance of businesses that support environmental initiatives. Each member donates 1% of annual revenue to environmental causes.